For inshore (less than 10NM from the coast) our real-time internet AIS service for Boat Beacon and SeaNav has a lot of advantages over VHF AIS receivers and reception, it is very cheap, easy to install (no aerial required), easy to use and provides incredible range including “seeing” round corners and over headlands and islands. However if you venture further afield and go out of range of internet coverage, for instance when half way across the English channel between Southampton and Cherbourg and in the main shipping channel you need a VHF AIS receiver! 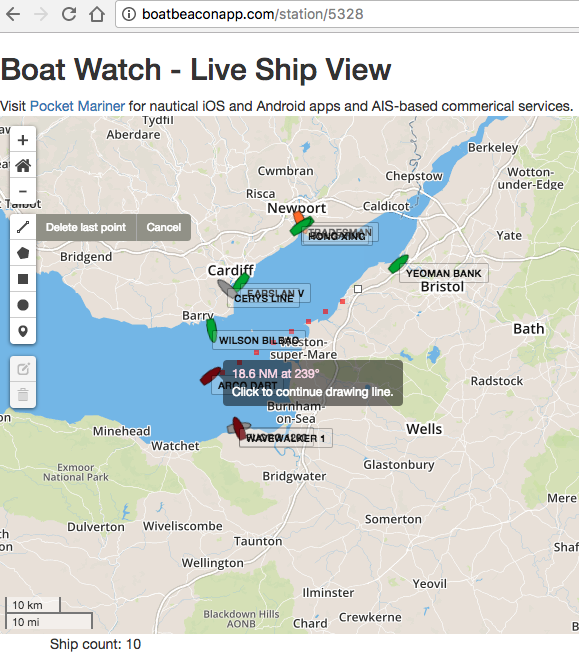 Many of our Boat Beacon and SeaNav users use our apps both for internet AIS and as a display and CPA alert device for their on-board VHF AIS receiver. There is a new and relatively inexpensive range of AIS receivers out on the market from Quark-Elec and also the dAISy. They are less than a quarter of the price of the usual AIS receivers from the likes of Digital Yacht, Comar and Weatherdock etc. . We wanted to try them out for use with SeaNav and Boat Beacon on iPad and iPhone. iOS does not support USB connections so to get local AIS data into your iPad you need to connect via Wifi and will need an AIS receiver with Wifi built in or get a USB to Wifi adaptor. There are no USB to to wifi adaptors available on the market! It is possible to build your own for around £50 using a Raspberry Pi or BeagleBone Black as we have done but for this comparison this rules out USB only AIS receivers such as the dAISy unfortunately. 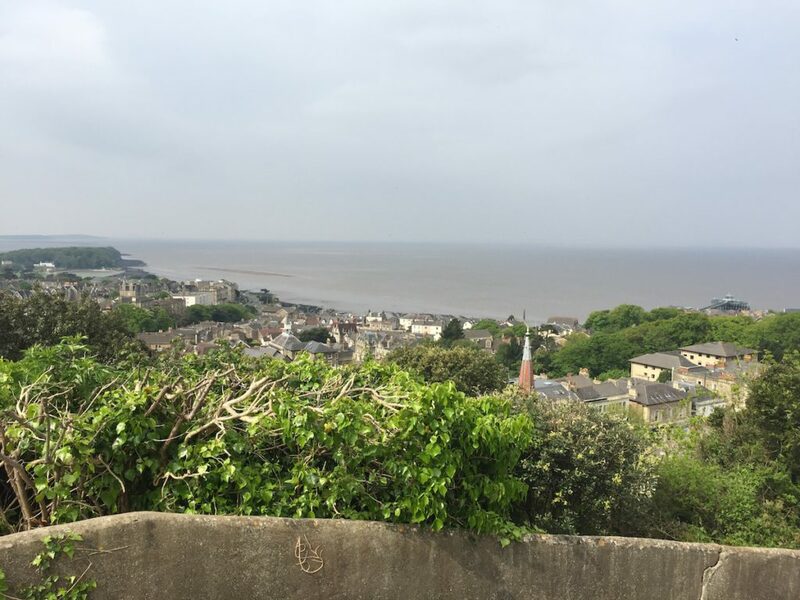 We drove out to nearby Dial hill in Clevedon overlooking the Bristol Channel at a height of approximately 100m above sea level. At this height the VHF horizon should be around 32NM for spotting ships. 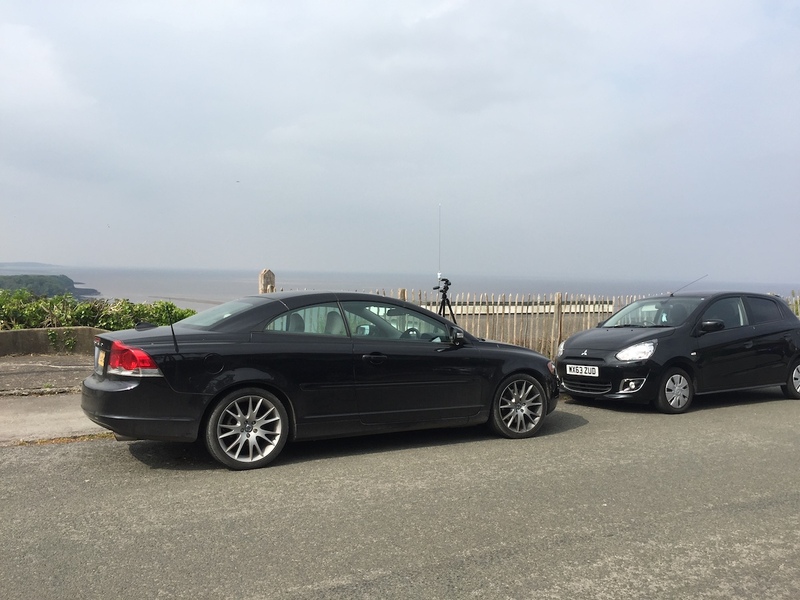 We used a standard marine 1/4 wave whip AIS aerial (£50) on a tripod and our SeaNav app on a laptop in the car to run a comparison test to see how the Quark-elec compared to the Digital Yacht AIS receivers that we normally use. The dual channel Digital Yacht AIS wireless receiver at around £365. 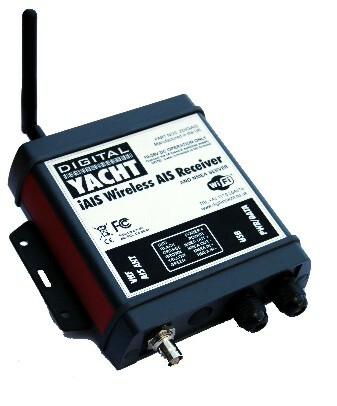 http://www.cactusnav.com/digital-yacht-iais-wireless-receiver-p-11569.html. This also allows you to attach other NMEA data such as wind, speed and depth etc. to your iPad via the Wifi channel. 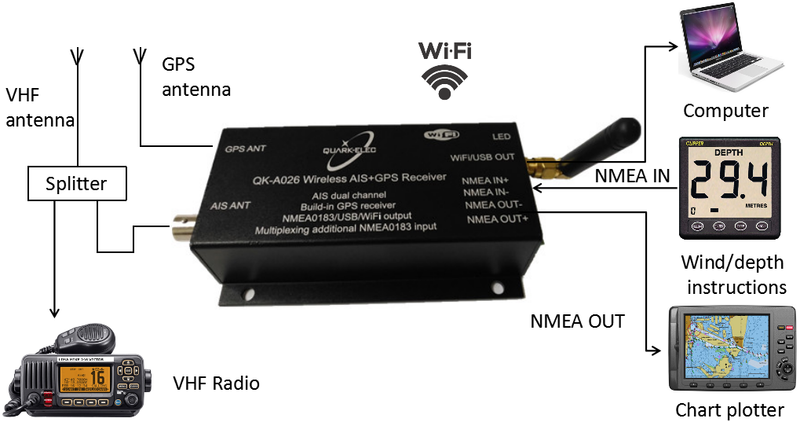 This looks like an amazing device as it also includes a GPS receiver and a NMEA multiplexer so you can combine data from Wind instruments, Speed log and Depth over Wifi too. You can get one without GPS for £79 – the QKA-024. So price for price this is less than a quarter of the price of the Digital Yacht equivalent! (note all the ships around Hinkley point near Burnham-on-Sea to the south, busy helping with the build of the new Nuclear reactor there). The Quark picked up ships out to around 20NM from our location. 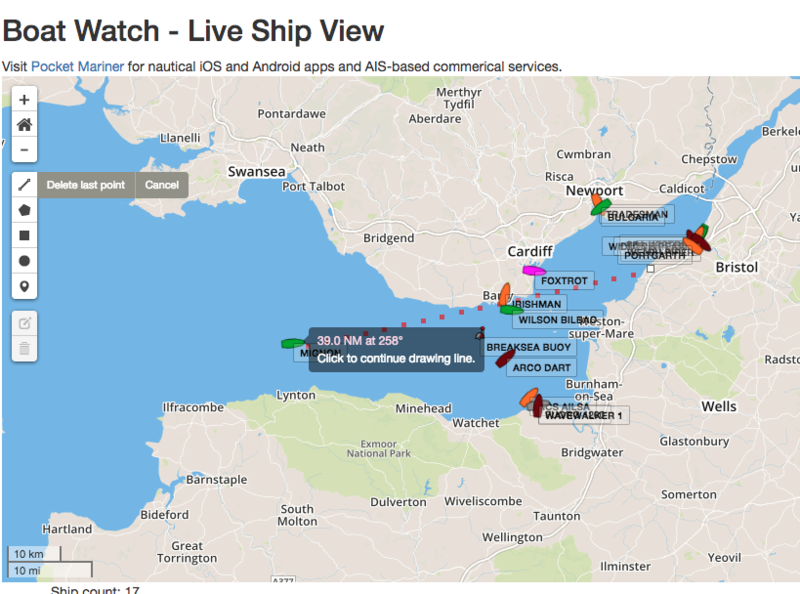 It did not pick up the weaker Class B transmissions from about 11NM away (purple boat in Cardiff and orange boats in Barry and Hinkley point in the Digital Yacht screenshot). The Digital Yacht maximum range was 39NM just over the expected VHF horizon. The DY device was far more sensitive than the Quark with nearly double the range for picking up large ships using Class A AIS (12.5W). Class B AIS is much lower power than the class A that ships use and at only 2.5W has a maximum power limited range of around 8-10NM which appeared to be within the Digital Yacht’s capabilities but just beyond the Quark’s. If you are on a small boat and your AIS aerial is at most 10m above sea level the VHF ship spotting horizon range will be about 12NM (see note at end on calculating VHF horizon range). The Quark easily met that target for spotting ships. With the built in GPS version you can provide GPS to your Wifi only iPAD too. The Quark-Elec A026 would be a great buy on that basis if you want to use it on your boat with SeaNav so you can pick up AIS when out of range of our live internet coverage, for instance when half way across the English channel between Southampton and Cherbourg. At Pocket Mariner we are also interested in using AIS receivers for our real time global AIS shore based AIS network which we are continually growing, now picking up live positions from over 40,000 ships around the world at any one time with several hundred AIS receivers and aerials. Although the price point of the Quark is tempting, when you factor in the costs of installing and connecting up an aerial, the 4 fold increase in coverage area the Digital Yacht devices give us wins for shore based AIS stations. 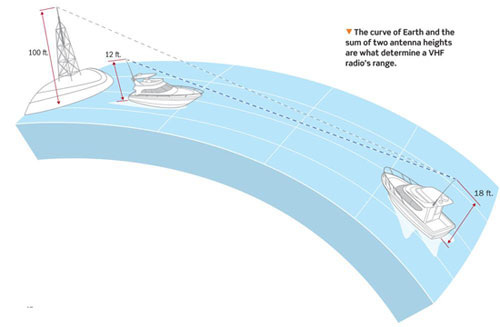 VHF travels in a straight line and its range is limited by the curvature of the earth. The higher the aerial is placed above sea level the further it will see. A simple rule of thumb for calculating the range of an aerial is the square root of its height above sea-level in feet in NMs. So an aerial at 25′ will have a range of 5NM. To get the range that you can pick up targets at you need to combine the range of your aerial and that of the target. So for aerials both at 25′ the range will be just over 10NM. If you prefer metric, take the square root of the height above sea level in meters and then double it to get range in NM. e.g. 9m gives approx 6NM range. An AIS aerial mounted at deck/guard rail level will only see large ships to about 8NM out!